A bit smaller than I would have liked but it looks good in the garden flowers. Christmas Central provides one of the largest online selections of Christmas decorations, home décor and outdoor living items. We offer everything from the smallest ornament to the tallest artificial Christmas tree and everything in between. But we are more than just Christmas! We offer all holiday decorations – in addition to indoor and outdoor decor and everything you need to decorate your home. For customer service inquiries or to initiate a return, please contact Christmas Central at customerservice@christmascentral.com or 1-844-329-5677. You can initiate a return for new and unopened items within 30 days of delivery for a refund. To qualify for a refund, items must be in new and unused condition with all original materials and/or accessories. If a return is not received at our processing facility within 30 days, it may be subject to a partial refund. You will be responsible for return shipping costs. However, if the return is a result of a fulfillment error, product defect, or damage incurred during shipping, we will refund the full cost of the merchandise. We will provide a pre-paid return shipping label for Non-Buyer's Remorse returns. All returns are subject to inspection, and if found not to be an error on our part, the return shipping costs will be withheld from your refund. This decorative garden figure is the perfect way to enhance your outdoor areas during the spring and summer months. 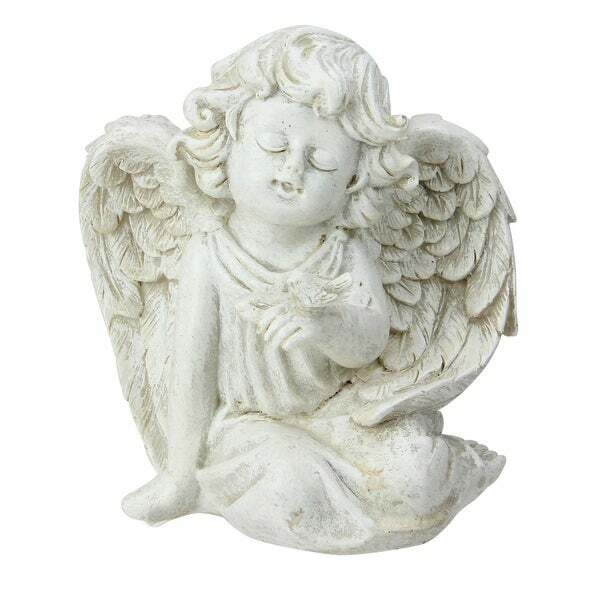 Meticulously sculpted with fine attention to detail and a distressed ivory finish, this adorable angel decoration is sure to impress your friends and family! Whether you’re redecorating or just want to stay with the times, check out our forecast for the top home decor trends in 2019. Expect to see a shift toward more sustainably sourced materials and a preference for rich, jewel-toned colors. Get ahead of the curve with the 2019 home decor forecast. From rich blues and cool marble to mixed patterns and sultry velvet, we're bringing you the latest and greatest trends to try at home. Whether you're looking for a total refresh with sleek Scandinavian design, or want to punch up your style with bold graphic prints, we've got design inspiration to help you reinvent your living space.